and a few useful tools. 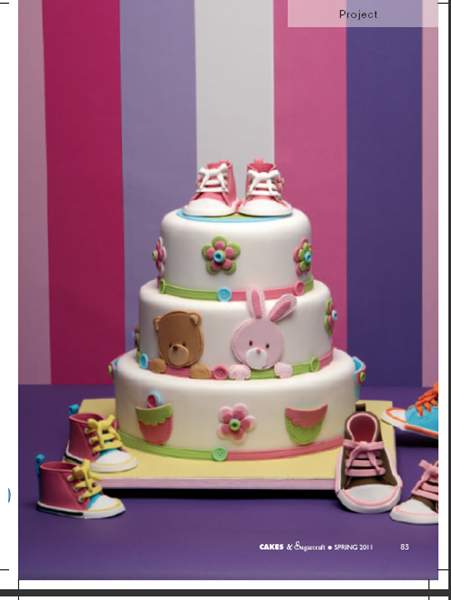 Cakes and Sugarcraft magazine Spring issue 112, 2011. 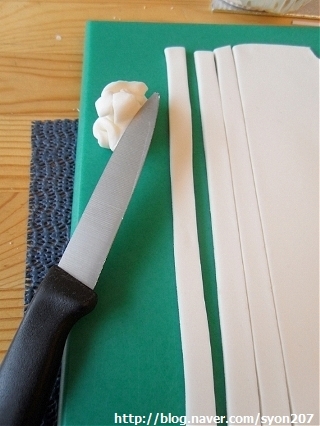 Knead the gum powder into fondant. 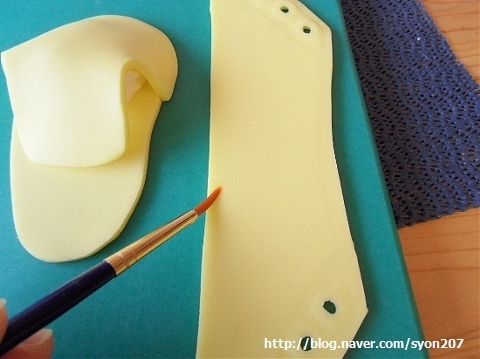 Double wrap the paste in a plastc bag and leave for 7~8 hours before use but it is best left overnight. 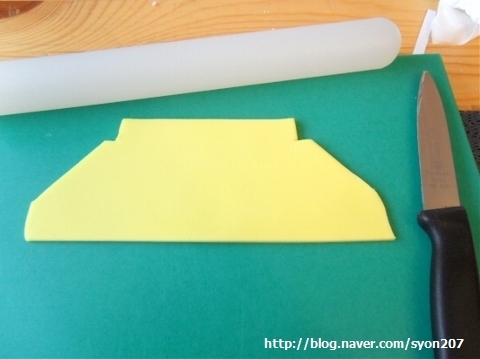 Roll out 100g (3/2oz) of paste to 5mm (1/4”) thickness on a non-stick board and cut out pieces using the template. 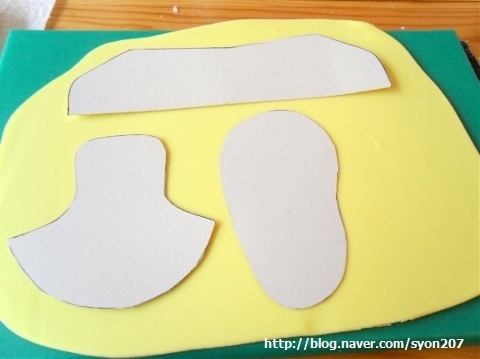 Cut out one more sole by reversing the template so you have a shoe for each foot (the other pieces don't need to be reversed as they're symmetrical). 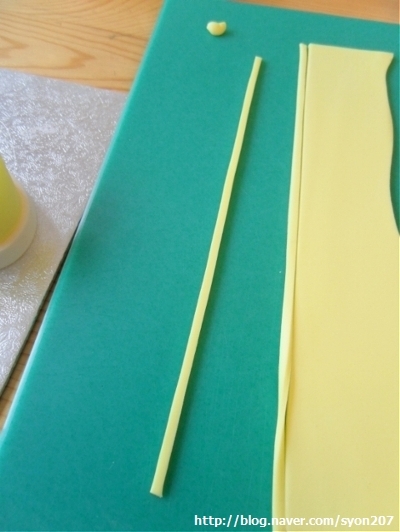 Place the soles on a foam pad. 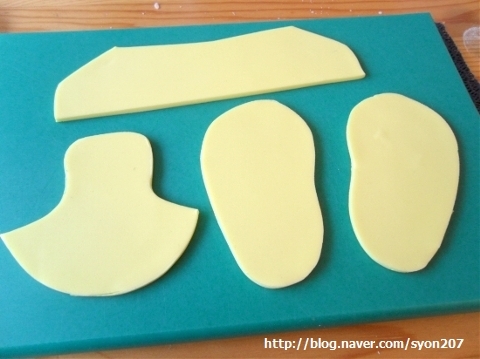 Brush the curved edge of the toe piece with glue or water and attach it to the front of the sole. 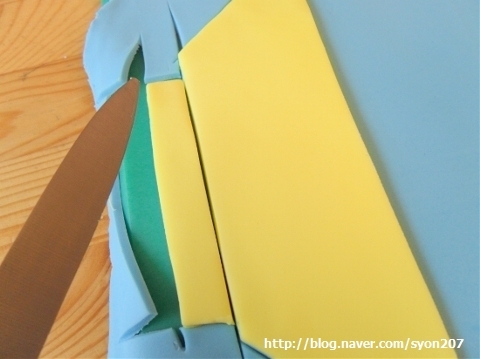 Use your finger to smooth the glued edge. in the toe part to support the shape as it dries. 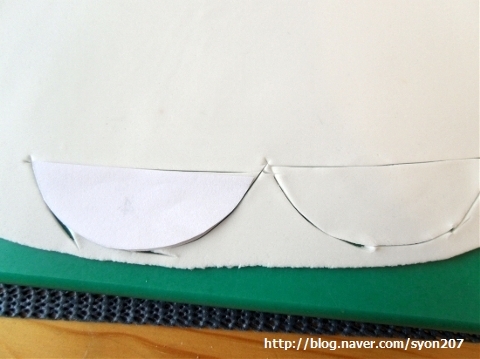 Using a quilting wheel to indent stiches on the edge and side of both pieces,following the template. 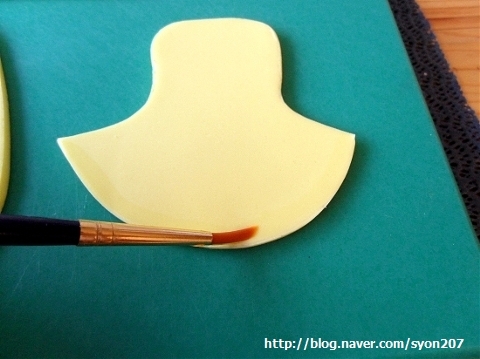 Use the end of a paintbrush to indent three holes for the shoelaces.Brush water on the bottom edge of the heel piece and attach to the sole. Adjust the tongue to fit in place. 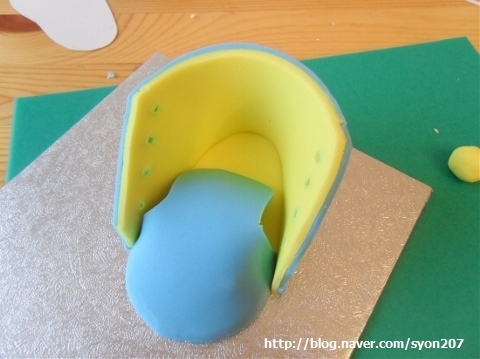 Use more tissue paper or a cotton ball to support the tongue. Cut out toe covers and indent stitches. Cut out two short strips and mark with a quilting wheel on each side. 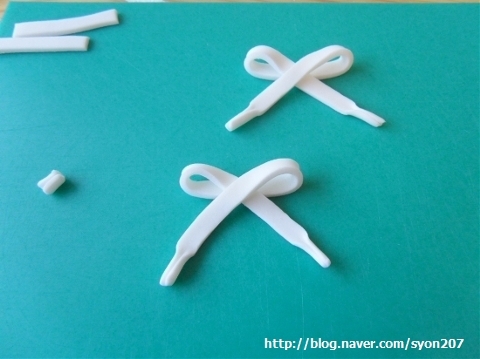 Cut out more white strips to make make shoelaces. thank you! very beautiful! wow! they're all so cute - the brown, pink and white ones are especially delightful ! 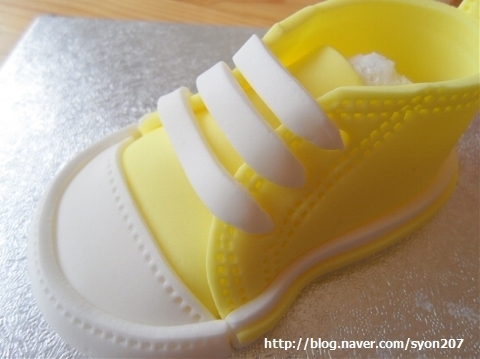 Hi Sarah-Jane,I am so happy that you liked my fondant shoes! The brown ones are actually a copy of my daughter's (who is also called Sarah) converse. Your tutorial is the best! It's better than the YouTube videos. I just made a blue pair. First time making them. 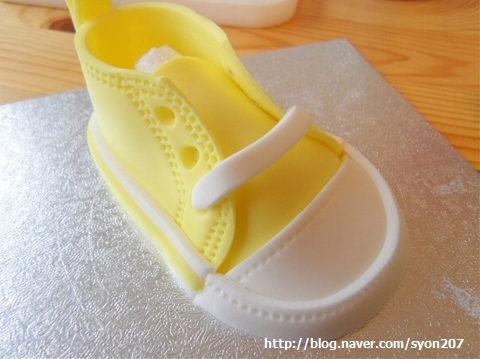 I am intermediate with gumpaste, but was able to follow easily. Thanks!!! Thank you for the sweet and encouraging comment! I wanted to ask can I make them and store them? Or do I make them the time I need them? Can they be made like 10 days before the event? 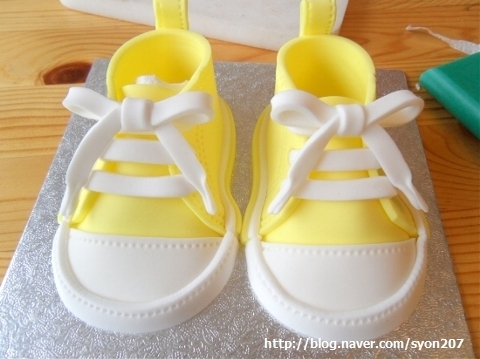 Those are absolutely adorable thanks for sharing. Thank you for the tutorial!! It is so nice when people are so willing to share!! So cool with your pattern. I Will try tomorrow. Is there other petterns than one kind of shoe? This is PERFECTLY made to help others And so beautifully made all of your shoes. These are brilliant! 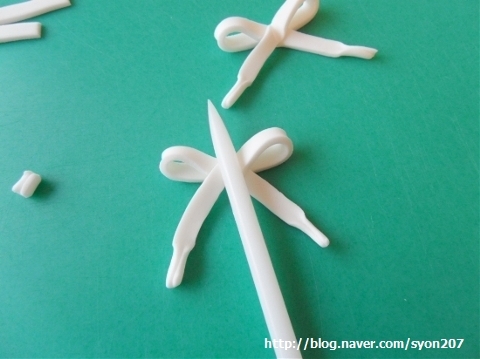 You are very talented, and very generous sharing the tutorial! Thank you! this is amazing!! i love! Hi Deborah, I'm not sure where my last comment went, but I wanted to alert you to what appears to be one of your gorgeous cake pictures being stolen. The pic is in the 'weddings' section and it looks to have been taken from your magazine cover pic. I hate when people steal other's work and try to pass it off as their own. Thank you for all your wonderful tutorials. Wow, simply amazing. 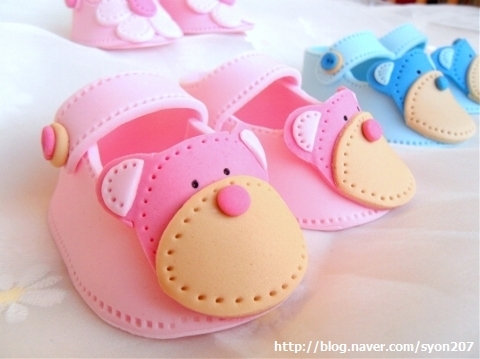 My daughter have the same baby shoes like the pink ones which has a teddy face on it. 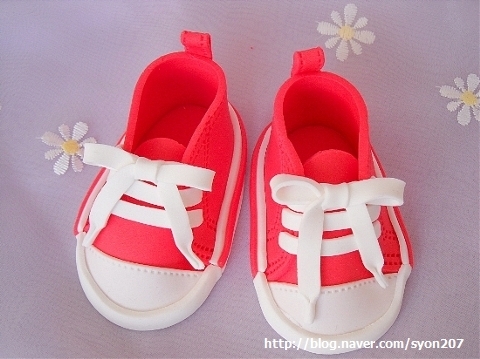 These are so cute. I will make her these foodies, she will be very happy. 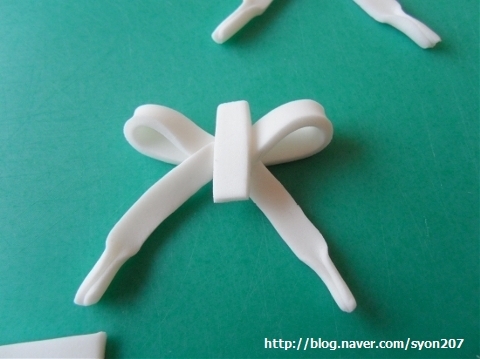 I'd like to publish my experiment on my blog, quoting (of course) your tutorial. Thank you for your generosity! I have not published yet, but il will be done soon. 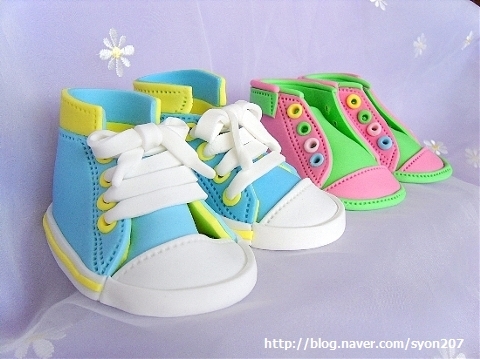 There is store of colored shoe. 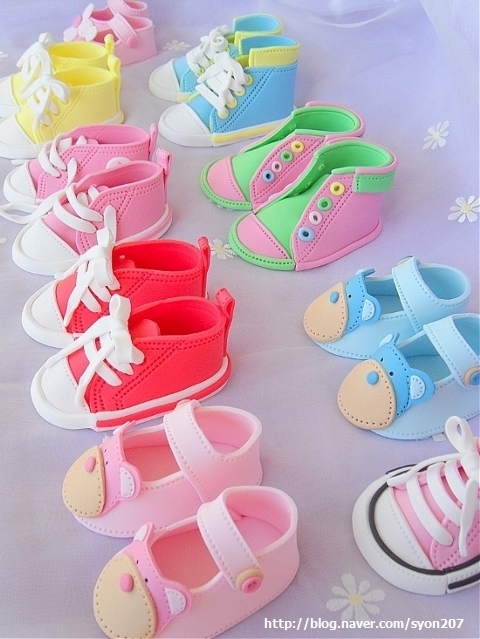 really it is Like creationKicks I choice 3-4 pair of baby shoes. 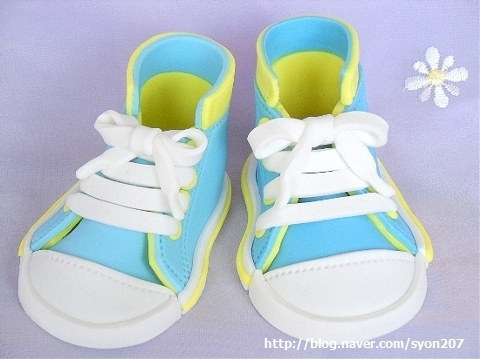 Do you like these? 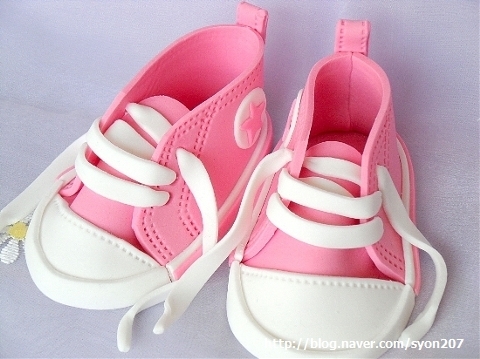 Wow these baby shoes are really cute. I just love them. 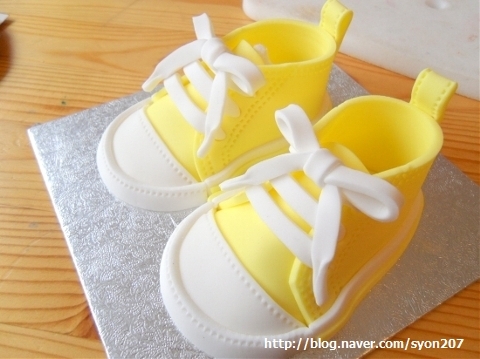 I will definitely try making them myself. 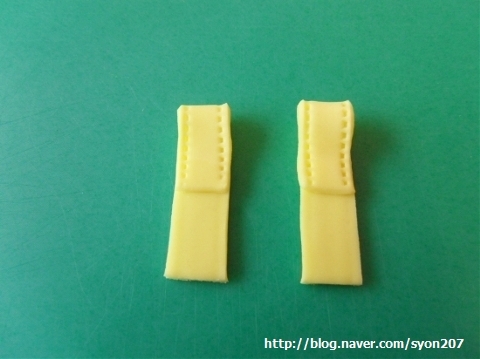 Thank you Deborah, I made a pair of tiny version using your template. 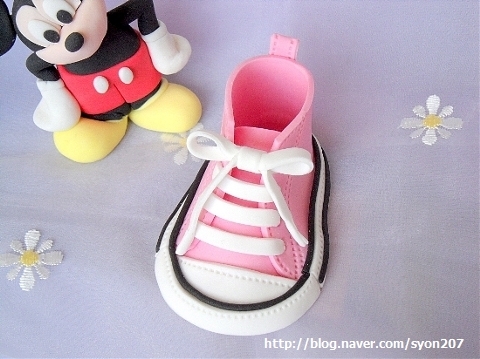 It's perfect and so cute. Love your art work. Thumbs up to you. I want to thank you for this tutorial. 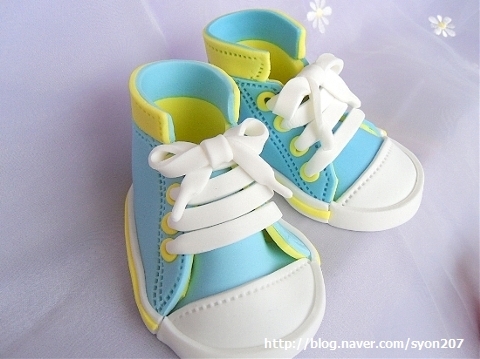 these baby shoes are really great. I will definitely try it myself. Great tutorial! 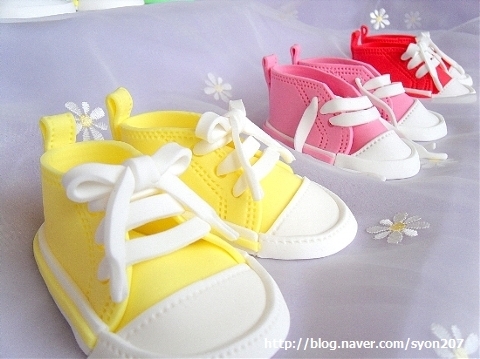 Beautiful shoes. Thank you. our tutorial is the best! It's better than the YouTube videos. I just made a blue pair. First time making them. 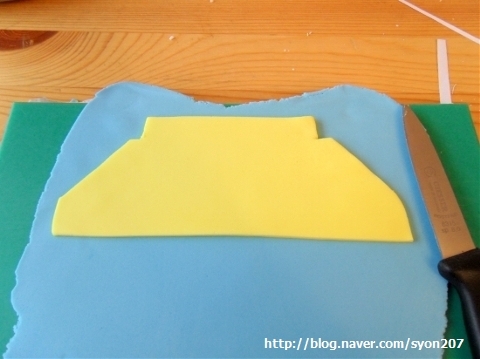 I am intermediate with gumpaste, but was able to follow easily. Thanks!!! Thank you! Really beautiful work! 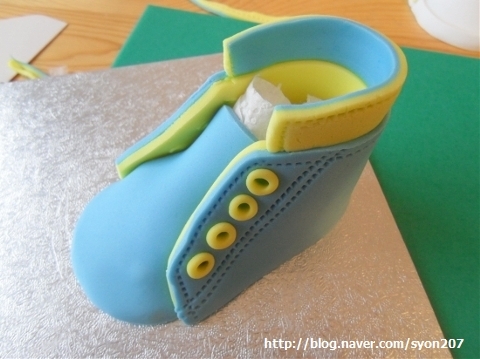 Great to find this - I am planning to make a surprise baby shower cake for a friend! 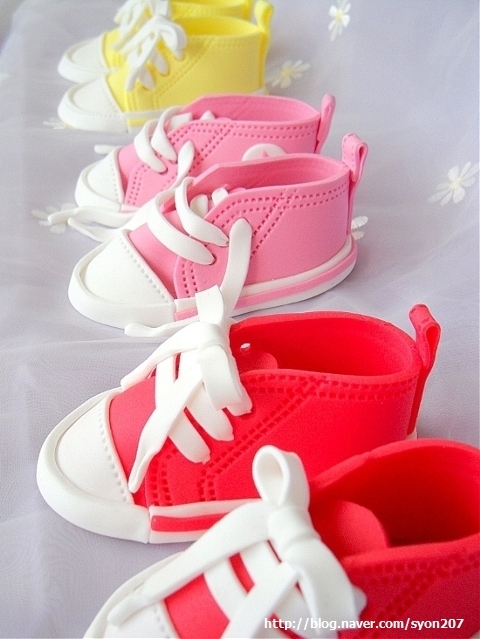 I bet she will love these cute baby shoe toppers, too. 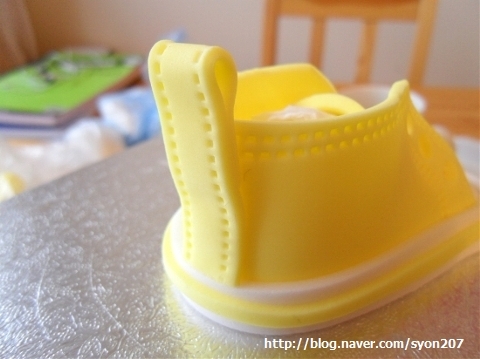 This is an amazing tutorial on fondant cakes. thank you so much for sharing. 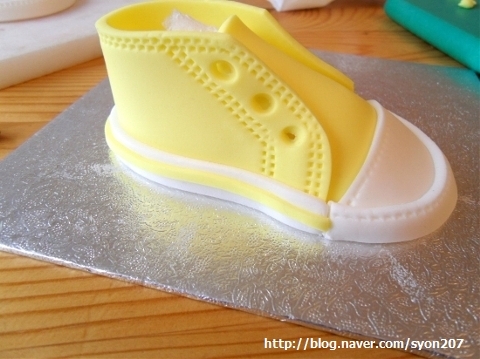 I love to see a fondant baby converse shoes ,, for my son birthday. This is a really sweet idea.